4.10/3.50-4 Dual Tread Tire for Gas Scooters, Electric Scooters, Pocket Bikes, Mini Choppers and more that fits a 4" Rim. Tire 4.10/3.50-4 Dual Tread. 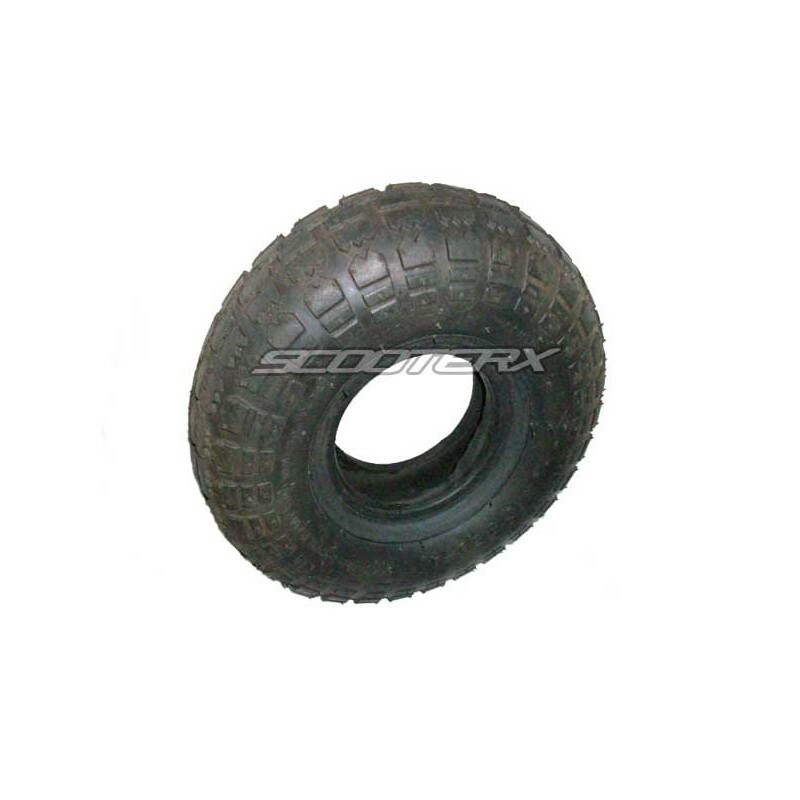 This tire can be used on many different applications like gas scooters, electric scooters, dirt bikes, mini choppers, pocket bikes, and more. This tire will fit a 4" Rim. This tire has a psi rating of 30.